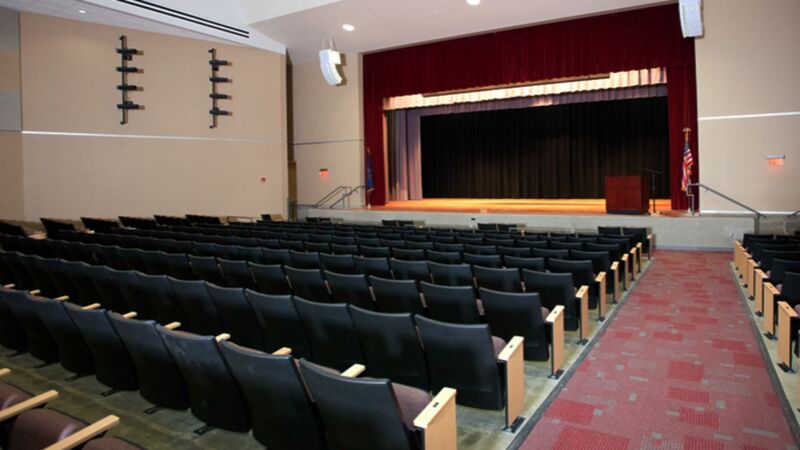 The Toretti Auditorium is an eight thousand five hundred (8,500) square foot, six hundred thirty two (632) seat theater style space featuring its own, independent, screen and projector, audio system, lighting system, and curtaining system. This space is an ideal location to present to a larger audience before taking advantage of the Conference Center for your breakout sessions. 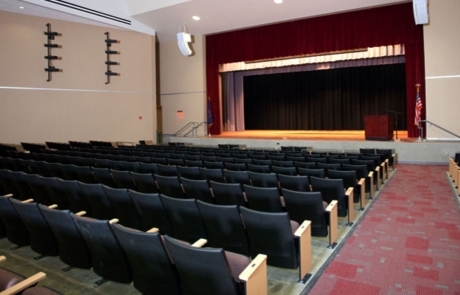 The Toretti Auditorium has its own entrance located on the Wayne Avenue side of the Complex, giving it the potential to host events completely independent of anything else going on at the facility! 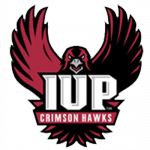 All loading/unloading must occur in the Pratt Drive bus lane or the roundabout on the Wayne Avenue side of the facility (view map on page 11). These locations do not have a dock, so all loading/unloading must be done with a ramp or lift. A traditional dock (two truck bays with levelers; one additional large rolling door) is located in the rear of the building, but the location is a 450’ push to the auditorium. Also, usability of the dock is contingent on arena schedule. All production/dressing rooms are located on the event level in the arena section of the facility. Due to location, there is not a private access way to the auditorium stage. Performers must walk through public areas to access stage. View page 9 for diagram highlighting production/dressing room location. All rooms can be equipped with phone and hardline internet. 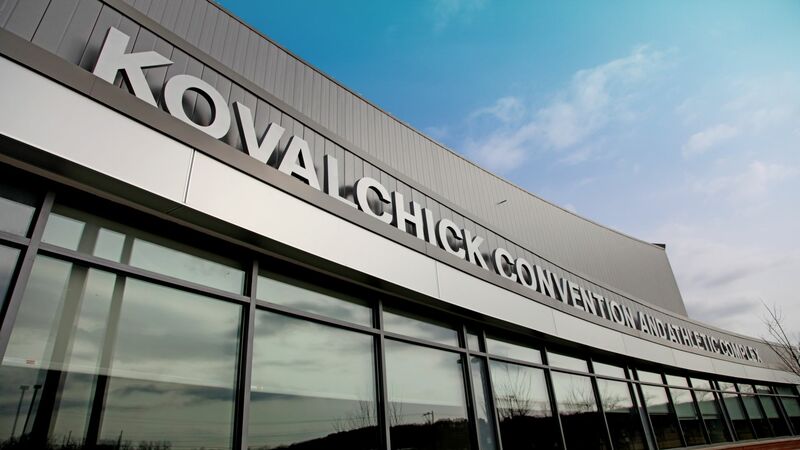 Kovalchick Complex conference rooms are available for use depending on the needs of the auditorium event. Available rooms vary in size and capabilities. 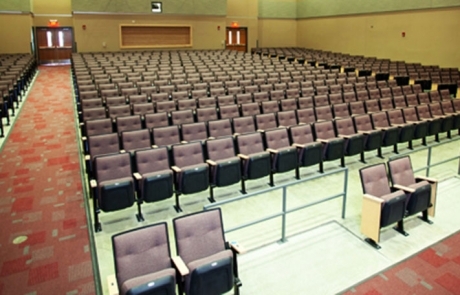 Due to location, there is not a private access way to the auditorium stage.